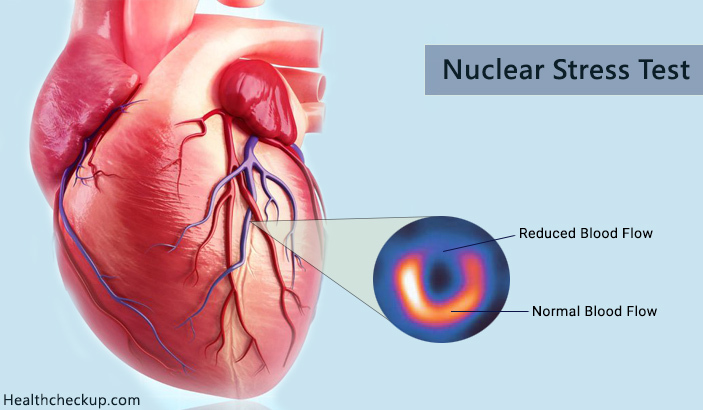 A nuclear stress test is an investigation which studies the functioning of your heart under stress conditions with the use of radioactive isotopes which is injected into the system. The test is divided into two parts. In the first part, images of the heart are taken under rest conditions and in the second part of the test the subject is made to undergo physical or pharmacological stress and then images are once again acquired. What Does A Nuclear Stress Test Show? The test shows the behaviour and functioning of the heart muscles during the pumping action at rest and during stress. Usually, the heart pumping increases during stress and more blood is pumped through the heart. An informed consent is mandatory in most facilities performing the test procedure and they will inform in details about the protocol and medications used and possible side effects and outcomes. Physical stress includes an exercise pattern and pharmacological stress is by the use of medications which induce a stress like condition on the heart. The protocols for the test and stress are as per a standardised protocol. The exercise might cause tiredness and fatigue. If you feel too fatigued any time during the exercise test then please stop and inform the staff conducting the test. Performing unaccustomed exercise during the test can rarely lead to a heart malfunction. What Are The Precautions After A Nuclear Stress Test? You do not need to take any precautions. The injected radio isotope usually will not cause any adverse effects in most individuals. The medications used to induce pharmacological stress are adenosine, dipyridamole and dobutamine and any one of the medications is used. These medications cause dilatation of blood vessels and open up the arteries of the heart to increase the blood supply and simulates post exercise functioning of the heart. What Are The Side Effects Of A Nuclear Stress Test? A headache after nuclear stress test, though experienced only in few individuals. This is the commonest side effect and intake of caffeine containing beverages like coffee will help. Is a Nuclear Stress Test Safe Radiation? A small amount of radiation risk is involved in the nuclear stress test. This can be minimised by exposing the individual to a basic standardised protocol and performing additional detailed testing only if needed. 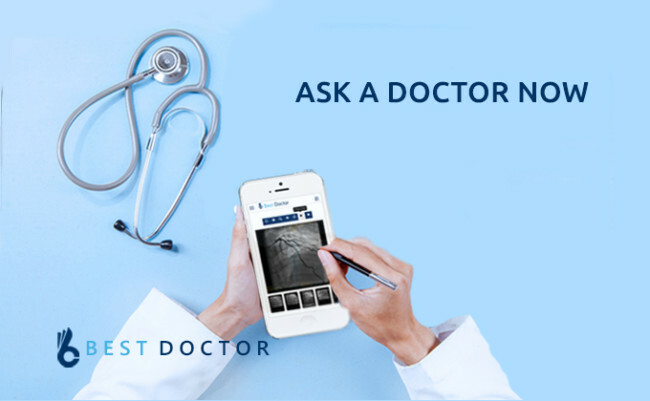 The closest alternative and non radiation alternative test is a Stress Echocardiography Test. In this investigation the heart functioning is studied using an ultrasound machine. Stress echocardiography results might vary with the skill of the person conducting the test and operator variability exists. Nuclear stress on the other hand is not much operator dependent and the results are more comprehensive. Another alternative to nuclear stress test is a CT Coronary Angiography. This uses radiation and is done after injecting intravenous contrast medium and then taking pictures of the blood vessels in the coronary circulation. This is also a non operator dependent test. The accuracy of nuclear stress test can vary with different centres and is in the range of 70 to 90 percent and matches accuracy of CT Coronary Angiography and Stress Echocardiography investigations. What Causes Headaches And Dizziness Everyday?